Wander across the magazine-spread beaches that encircle the picture-perfect 5 Star Sakala Resort, and drink in the kaleidoscope of colours that stain the horizon at each idyllic sunrise and sunset over 5 or 7 incredible nights. Sink into bliss with your ensuite bath, fall asleep to the tropical breeze in your indulgent King-sized bed and savour breakfast from your private balcony. 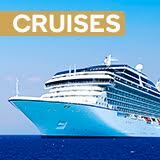 Other amenities include a 32” and 42” flat screen TV, kitchen, spacious living and dining areas with a Bose stereo system. Start your morning right with a cup of coffee, savouring the breathtaking resort vistas and glistening pool waters immediately below your private balcony. This stunning suite features all of the luxuries of the Deluxe Suite. Featuring the amenities of the previous two suites plus two private rooms with a queen and two twin beds respectively, you’ll love waking up to stunning views of blue skies, palm trees and an enormous crystal-clear pool-view from your private balcony in this Two Bedroom Suite. 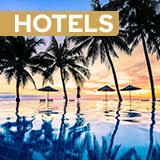 Additional guests and children can be accommodated at an extra cost per night, payable upon check-in. See the Fine Print and Child Policy for details. 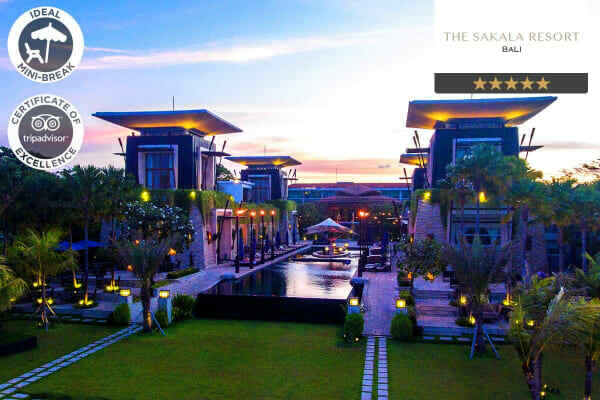 Welcome to the Sakala Resort, your 5 Star luxury escape nestled on the sunny beachfront of Tanjung Benoa, a quaint former fishing village on the Nusa Dua Peninsula in southeast Bali. Start every morning with a refreshing dip in the glittering beachfront infinity pool and views of the Indian Ocean before you’re treated to a scrumptious daily breakfast buffet. 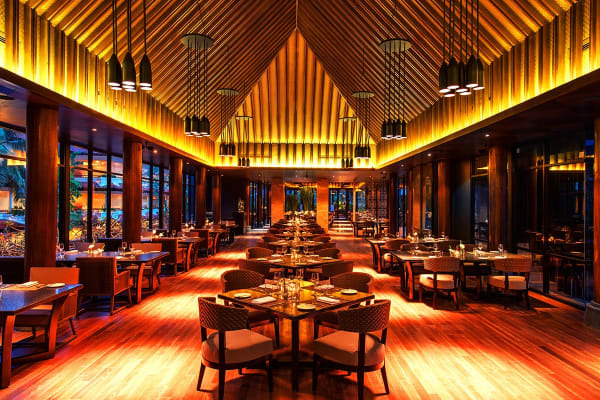 Savour local and international cuisine with two complimentary three course set menu meals at the Sakala Beach Club, perhaps capped off with a delicious cocktail. Bliss out at the Wellness Spa, as you enjoy a traditional 60-minute Balinese massage. With 15% off treatments for the duration of your stay, this is the perfect opportunity to reinvigorate your mind and treat yourself to a manicure, rejuvenating facial or body wrap. Find your zen in the yoga studio, pump iron or hit the treadmill in the four-storey Health Club, featuring state-of-the-art equipment. Family holiday? Enjoy free access to the Kids Club, where children under 12 can spend their days with professional childminders learning traditional Balinese crafts, watching movies and playing games. If you can bear to leave the resort, why not explore some of the gorgeous local sights? The area is dotted with cultural architecture such as the Pura Dalem Ning Lan Taman Beji and the ancient Caow Eng Bio Chinese Temple. 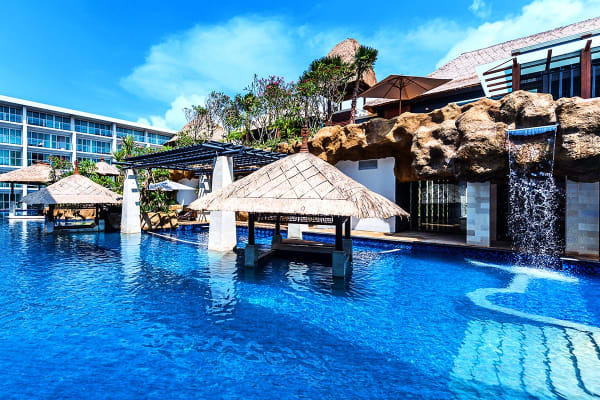 Tanjung Benoa is Bali’s water sports hotspot, and a great way to spend a day out. You can find jet-skis, parasailing, flying fish, banana boats and even water jetpacks available to rent. For the faint of heart, sea-walking adventures, scuba diving and underwater scooter rides through coral gardens are a quieter way to slow down and appreciate Bali’s stunning natural beauty. Shop to your heart’s content at Bali Collection, a sprawling shopping and leisure complex ten minutes from the Sakala Resort. If, within 14 days of purchasing Your Kogan Travel offer (Guarantee Period) You have been unable to secure Your preferred travel dates, and have not confirmed a booking, We will issue You with a full refund to the face-value of Your voucher purchase.